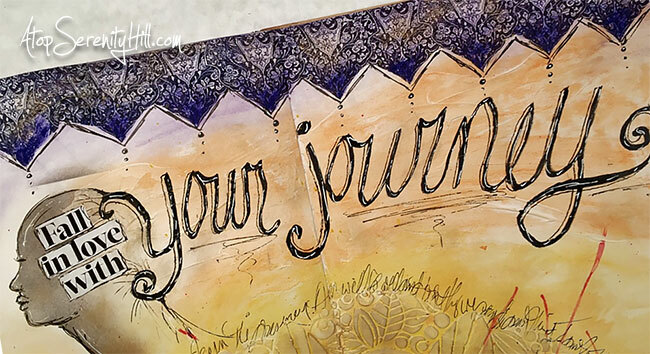 I seem to be on a journey kick with my art journal pages but since we are still unsettled with our impending move at the end of June, that is not surprising. For this month I again used the prompts from Mike Deakin’s Mission Inspiration so I didn’t have to think too much and even filmed the process for your enjoyment! A good advice; an original & beautiful page. Thanks for the process! Loved watching every minute of this. Very inspiring! I enjoyed watching your video this morning Consie. It was fun and inspiring to watch your page come together. I am not familiar with Mike Deatons’ Mission Inspiration so need to look that up. You created a lovely page spread! Thanks, Laney! I’ve been using his monthly prompts for a couple months now..totally fun! 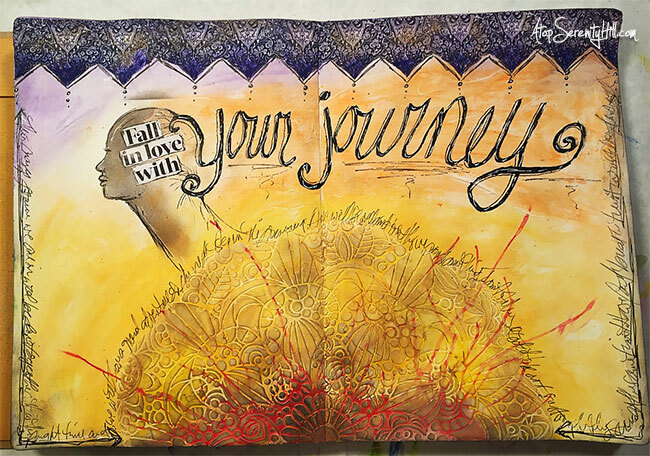 Good advice – if you can’t love the only journey you’re on, life will be miserable! 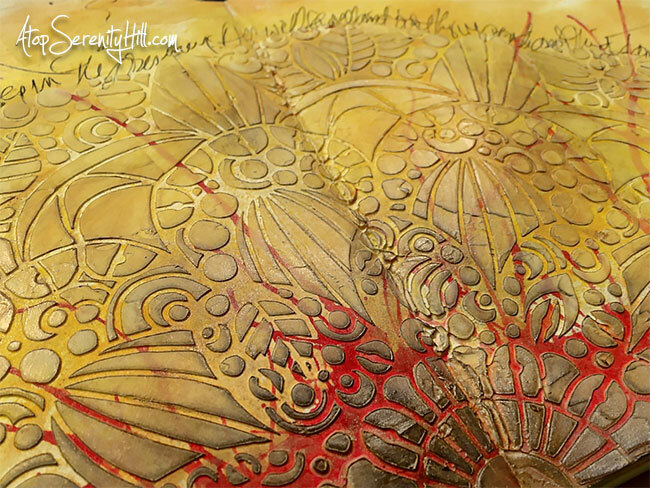 Thanks for the vid – I love watching how other people put things together. Glad you liked the video! I love watching others as well. Beautiful page. thanks for directing me to Mission Inspiration. You are welcome, Fran! I hope you have some fun with the prompts!